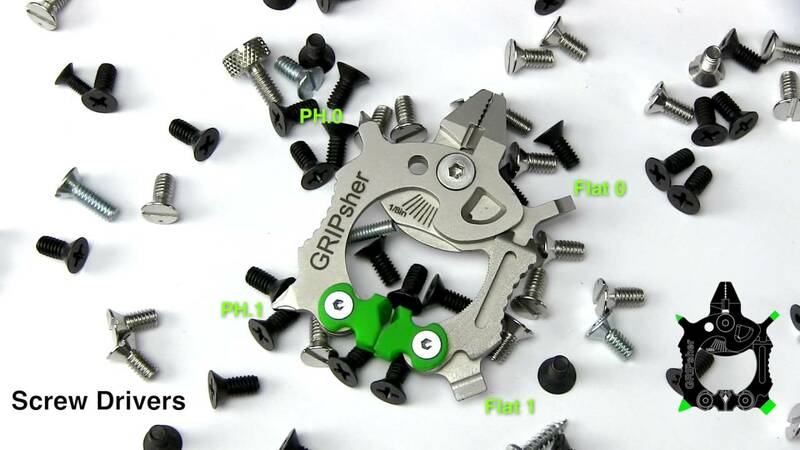 GRIPsher is a compact, ultra durable EDC multitool that fits seamlessly on your keychain or belt loop. Featuring an impressive 21 functions, the GRIPsher is designed for effortless, single handed use, acting as a natural extension of your hand to make working with small hex bolts, nails, screws, and wires a cinch. Packed with useful features and offering a wide range of functions, GRIPsher is finished with glow in the dark jaws so you never have to worry about misplacing this robust and multifunctional tool.